Thirty stories and poems by the award-winning Wanderland Writers. Workshop leaders Linda Watanabe McFerrin and Joanna Biggar led a search for the soul of southern Spain. Along the way the writers discovered a country ripe with contradiction: an arid landscape filled with lush gardens; the practice of elaborate Christian rituals in churches echoing a rich Islamic past; a land of bullfighters, gypsies, poets, philosophers and scholars; a place where duende and alegria coexist. 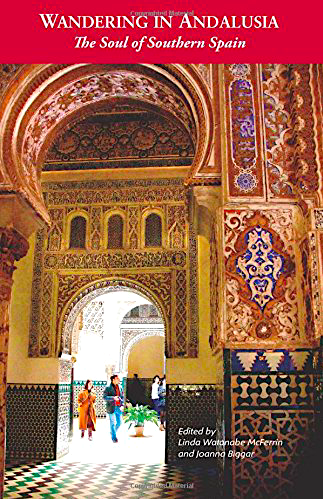 As they spread out in this inviting territory, they encountered—and wrote about—Columbus and the Christian monarchs; tapas and toreadors; sherry and sangria; caliphs and communists; flamenco and, yes, flamingos.